SECAUCUS, NJ -- A New Jersey farm sanctuary is looking for people to adopt nearly 100 ducks abandoned at a mall over the weekend. 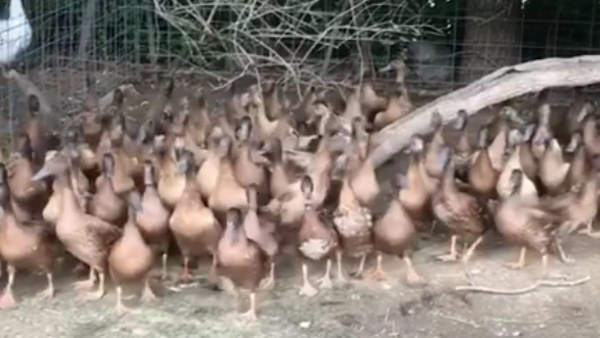 The Barnyard Sanctuary says that the 92 ducks were left in the grass outside of the Mill Creek Mall in Secaucus on Sunday morning. The state's department of fish and wildlife brought them to the sanctuary about an hour and 15 minutes away in Columbia. The Khaki Campbell ducks are about four months old. The sanctuary says they are healthy and available for adoption.